To claim this profile, please confirm you are Elle Bevis. To follow this profile, please let us know your relationship to Elle Bevis. The Legend varsity track & field team has a non-conference meet "Legend Prom Qualifier" today @ 2p. The Legend varsity track & field team placed 8th of 46 at their non-conference meet: "Pomona Invite." The Legend varsity track & field team placed 3rd of 19 at their non-conference meet: "Legend Track Clash." The Legend varsity track & field team did not place at their non-conference meet: "The Duels at Broomfield." Elle has been added to the Legend girls track & field roster. 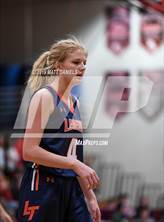 Elle had 1 photo tagged from the game against Valor Christian. 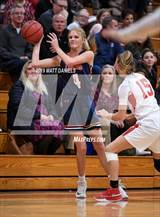 Elle's basketball stats have been updated for the loss vs. Valor Christian. RESULTLoss Girls varsity basketball vs. Valor Christian. 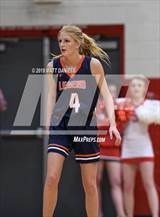 The Legend varsity basketball team lost Tuesday's neutral playoff game against Valor Christian (Highlands Ranch, CO) by a score of 50-41. Elle's basketball stats have been updated for the win vs. Douglas County. RESULTWin Girls varsity basketball vs. Douglas County. The Legend varsity basketball team won Friday's neutral playoff game against Douglas County (Castle Rock, CO) by a score of 39-28. Elle's basketball stats have been updated for the loss vs. Chaparral. RESULTLoss Girls varsity basketball vs. Chaparral. 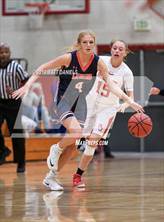 The Legend varsity basketball team lost Friday's home conference game against rival school Chaparral (Parker, CO) by a score of 49-35. Elle's basketball stats have been updated for the loss vs. ThunderRidge. RESULTLoss Girls varsity basketball vs. ThunderRidge. 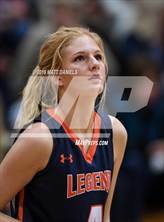 The Legend varsity basketball team lost Tuesday's home conference game against ThunderRidge (Highlands Ranch, CO) by a score of 39-38. Elle's basketball stats have been updated for the win vs. Rock Canyon. RESULTWin Girls varsity basketball vs. Rock Canyon. 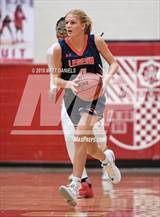 The Legend varsity basketball team won Friday's home conference game against Rock Canyon (Highlands Ranch, CO) by a score of 31-29. Elle had 1 photo tagged from the game against Mountain Vista. 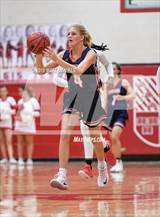 Elle's basketball stats have been updated for the win @ Mountain Vista. RESULTWin Girls varsity basketball @ Mountain Vista. The Legend varsity basketball team won Tuesday's away conference game against Mountain Vista (Highlands Ranch, CO) by a score of 40-36.